38 LISTS The Best and Worst of GamingLists that rank the best, most addictive, most compelling, most punishing games in all genres for players at every level of experience. List Rules Vote up the best video games in the chess genre. This is a list of the best chess games of all time for any console or system, including cover art pictures when available. These highly rated chess games are ordered by popularity, so only the greatest chess games are at the top of the list. Spanning the entire history of the genre, these chess games are considered the best in the genre. This list includes all challenging chess games that have ever hit the shelves, so it doesn't necessarily have all the more obscure or new chess games. List games range from Chessmaster to Battle Chess. This list answers the questions, "What are the best chess games?" and "What is the greatest chess game of all time?" Chessaria delivers for the first time ever, classic Chess combat backed with epic fantasy quests. Challenge your tactical skills as you battle for Chessaria's destiny. 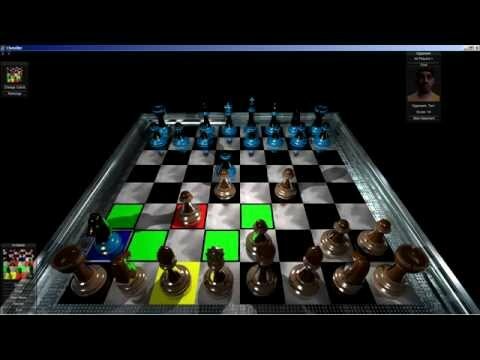 An interesting strategy chess video game in which there are various different variations of the popular board game, Chess! There is one variation where you will play pure chess and in the other you actually have to battle. Lego Chess is a computer chess simulation game using Lego Minifigs for the pieces. List Rules: Vote up the best video games in the chess genre.